Food insecurity refers to the USDA’s measure of lack of regular access to nutritional food for an active and healthy life. The food insecurity rate in Summit County is 15.3 percent of the total population, and the child food insecurity rate is 19.9 percent. In 2017, your Foodbank distributed 11,325,645 pounds of food and essential items to Summit County families in need. Of that, 2,944,944 pounds was produce, which was distributed for free. Melvin spent 29 years working as a production tech for the same company, supporting his family and living comfortably. He never worried about where he would find his next meal. After retirement and with his four children grown, Melvin found himself living on a fixed income and choosing between paying bills and buying groceries. Melvin has visited the Arlington Memorial Baptist Church’s food pantry a few times, when money is tight. When describing what the fresh food means to him, he smiles broadly in appreciation because each time Melvin leaves the pantry, he goes home and places meats, fresh produce and eggs in his nearly empty refrigerator. Melvin explains that the people around him and the friendships he’s made are the best part of his home and his community. 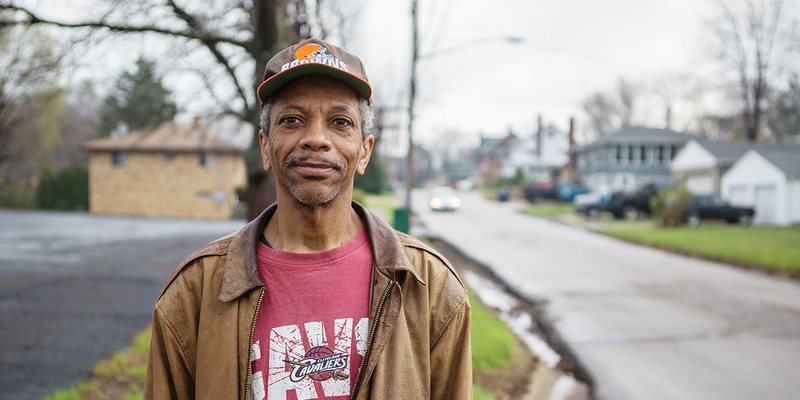 As a great neighbor, Melvin is willing to help anyone who needs him, just as the food pantry has helped him.